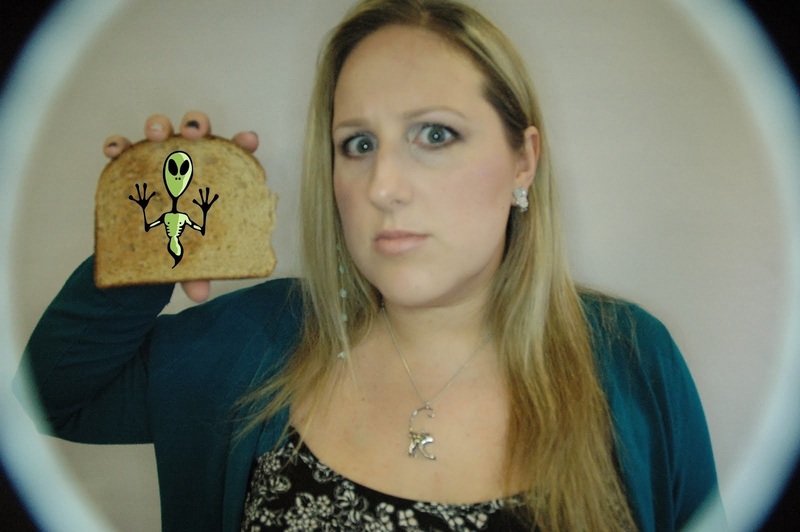 Alien on Toast: Can I get some fries with that shake shake booty? Next weekend, I'll be away getting what's left of my braincells destroyed by heavy metal, but this weekend I had absolutely nothing to do aside from get my nails done and watch a lot of 80s films! It was awesome. What I love about 80s films, aside from them being cheesey beyond belief and getting away with it - is the music. 80s films had the greatest, pour some sugar on me, anthems ever as their theme songs - let me tell ya - there was a lot of spatula-karaoke going on in this flat this weekend! I watched Mannequin, Lost boys, Back to the Future, Splash, Wildcats, Ghostbusters, Cocktail, The Breakfast Club, Mystic Pizza and St Elmo's Fire. I rock. I started the weekend off with a bang on Fridy night - chicken style seitan that I breaded and fried until it was crispy good! Served with baked fries, barbecue sauce and posh mushy peas (which I almost always make with soy yoghurt instead of tofu). I'm gonna post my ingredients for the seitan as soon as I get the cooking method 100% right. I think I know how to fix it so next time - fingers crossed! A dinner of tofu scramble and potato cakes, made extra awesome by adding some reggae reggae sauce to the scramble. I'm loving that stuff (I found the Love Apple one in the supermarket too - YAY!). I used some of my seitan to make taco filling - along with some mushrooms, kidney beans, tomatoes, onion, peppers, cumin, oregano and lots of chipolte paste! YUMMMM! I found some taco shells that have a flat bottom so they're supposed to stand up; they don't. But I managed to balance them together just long enough to get a picture. Today for lunch I breaded some of the seitan in a mixture of matzo meal (finely ground in a spice grinder) with some salt and some chicken seasoning and baked it for 25 minutes, then had it in a wrap. I got the inspiration from a wrap I used to love at the pub, in my pregan days. Before rolling - with pickles, tomato and chipolte mayo! Whisk together the milk and vinegar and leave to curdle. Mix together the dry ingredients and make sure the cranberries are well coated in dry ingredients (this stops them sinking to the bottom of the muffins). Whisk all the other wet ingredients into the milk/vinegar mixture. Pour into the dry and mix until just combined. Lightly grease a 12 hole muffin tin (or line with paper cases) and divide the mixture between the 12 cavities. Bake for 25 minutes, or until a skewer just comes out clean. Leave to cool in the tin for 5-10 minutes, then turn out onto a wire rack until cool. I ain't 'fraid of no ghost. You DO rock! What an awesome assortment of movies! 80's movies have THE best soundtracks ever. I don't mean to sound old, but they really don't make music like that anymore. I also like more current movies that take place in the 80's, like "The Wedding Singer" which is one of my favorite movies! Enough with the movies! Your food looks super fantabulous as always! The foamy coffee is really speaking to me! The foam is definitely the best part of a latte, hands down! Now, if I could get that with one of those muffins... Yum! That sounds like a great weekend indeed! Great selection of movies. And your food? Nom,nom,nom,nom! I had to look up on youtube his dragon's den song - so funny! So much good food Sal, looks like you had a wicked weekend. I'm so out of touch with my rock - I only recognised Thin Lizzy out of that line-up!! I like the sound of Scuzz though! Have a FAB time chick. hooray for 80's movies! i have not seen Splash nor Wildcats - i am totally gonna have to rent them one day! awesome! your chicken style seitan looks absolutely amazing, Sal! i need to read your posts later on in the day after i'm already full from lunch. 'cause i get too damn hungry drooling over your rock'n foodz. mmmmmmmmmmm! potato cakes, scramble, frothy coffee, wraps, and tacos - jeebus, Sal! i'm so huuuuuuuungry now! ahahhaaa! yay! 80's movies and a manicure...sounds like my kind of weekend!! your seitan looks awesome. and the muffins, too. yummo! (B)Working on my seitan prowess as well and yours looks delish! (C) What's this Reggae Reggae business??? Looks ridiculously good! drooling over your sweet corn patties, chortling over your solid rice cylinder, and thinking that car trouble always makes me feel like a teenager too... dad's do have their good points don't they? All that food looks amazing! What a fun way to spend a few days. I should take note for my next holiday. Wow, all the food looks amazing! Actually, I'm craving everything in this post. Every single thing! awesome use of matzoh meal. and yes, all that 80's movie stuff does rock. i haven't seen mannequin in years! hollywood! seeing that movie makes me think of the song "freedom of 76" by ween. dude, i'm totally on board with the 80s movies. and you can't just watch one... they are like little crunchy snacks that you can't stop devouring! ps... i totally gotta have that fried seitan recipe, so get on perfectin' it! Oh my, I haven't watched some of those movies in YEARS! I love all the food you make, esp. the scramble and I also love your pink and white spotty mug! V.cute. I love the '80s, music, movies, etc. It is awesome. ...and I definitely agree on the 80's movies music! Awesome!